Another excellent course that really works! 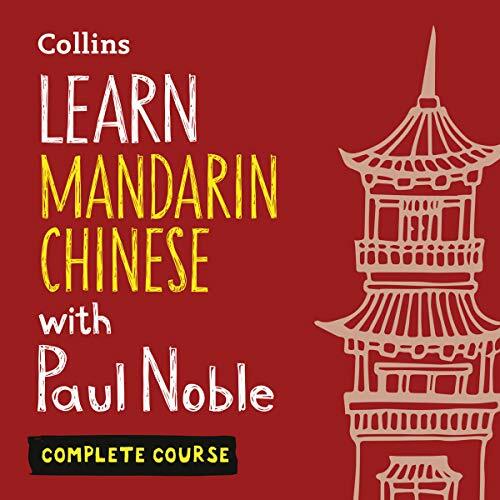 Learn Mandarin Chinese with Paul Noble combines an exciting, new non-traditional approach to language learning with the easy, relaxed appeal of an audio-only product. Ideal for beginners and those with little formal language learning experience. No books. No rote memorisation. No chance of failure. This download contains Part 1 of 3. 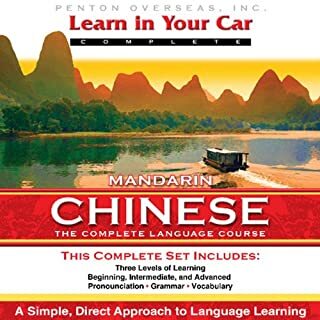 Listeners learn pronunciation, vocabulary, & grammar of Mandarin Chinese without the need of a textbook: Level 1: Key words and phrases, basic grammar skills, emphasizes travel needs; Level 2: Expands vocabulary, new grammar concepts, more day-to-day activities; Level 3: Broadens vocabulary base, more advanced grammar skills, enriches conversational ability. Easy Learning Mandarin teaches you key words for the most important situations and lets you expand your language through a variety of activities. 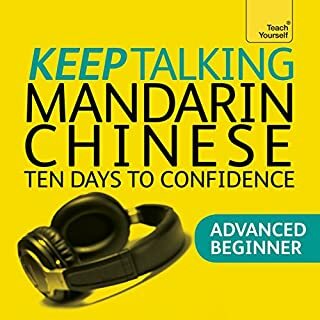 You choose whether to focus on learning the essentials or to progress to some more challenging activities – so whether you’re a beginner, or you want to refresh and build upon your existing knowledge, you can become confident in Mandarin without even having to pick up a pen. 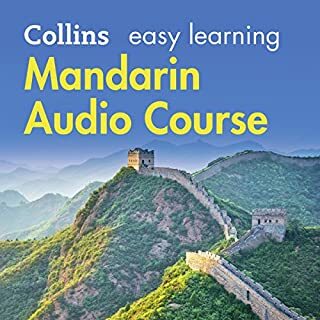 If you already have the basics and want to learn more Mandarin Chinese, this advanced beginner audio course will boost your confidence to understand and speak Mandarin Chinese. I had never thought I would be able to learn another language but I have always wanted to. The course made learning sentence structure simple and the repetition has made it easy to remember. While this course has taught things such as ordering food and asking people if they would like to do something, the real value has come from how excellently it teaches constructing your own sentences and understanding Chinese language structure. I feel I am getting so much more out of other learning materials thanks to the great explanation in this course, and that has given me the confidence to believe that I will be able to reach fluency at some point. I can't recommend this enough and just wish I could give it more stars! Will definitely be going through "Next Steps in Mandarin Chinese"
I really enjoyed this course. It was easy to follow and highly effective. Please can I have more? It had been really easy to follow, Paul does a great job of teaching it. The style of teaching is also excellent! I am a Paul Noble fan. 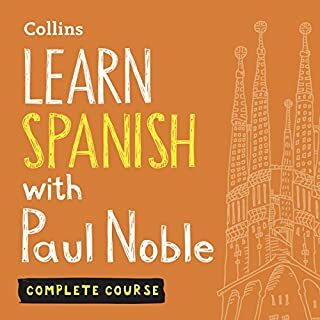 I have listened to his complete courses in German, Spanish, and French. Every so often, I review the last hour to get my basics back before I travel. 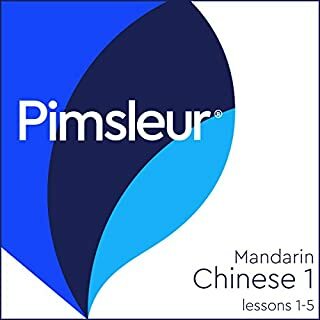 Starting in June (2018), I began working on Mandarin using Mondly, Drops, and Duolingo. After several months, I was learning but I just didn't feel I was getting it. 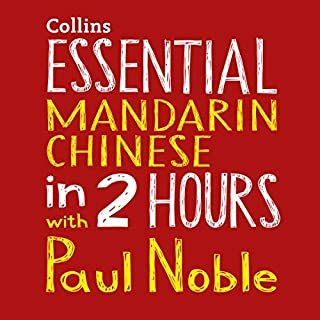 I preordered the Paul Noble Complete Series in Chinese with high hopes. It exceeded my expectations. I listened to an hour to two a week, frequently repeating sections while I drove or went on a run. After about two months, I am more confident and can say basic things. The language courses have aided my app learning and my general understanding of how the language functions, This is the best language investment I make. 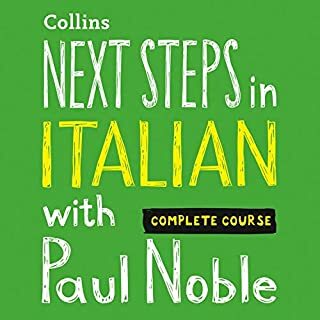 Sometimes the process is frustrating but Paul Nobel's method is by far the most effective language learning technique I have experienced. I have used and purchased nearly every language tool at one time or another from Rosetta Stone to Fluenz to Michel Thomas to Lingodeer. Every one of the major programs has strengths and weaknesses. 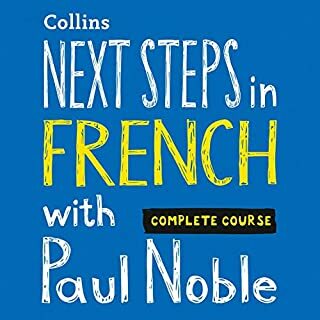 All of them are worth the money, but Paul Noble's programs are generally underpriced for the product received. I enthusiastically endorse all of his products and I have never been disappointed. All of his courses are worth the investment and have gotten me through the basics more quickly than any other method. I absolutely love learning languages and trying out new language learning products! My Spanish is quite good, my French is survival, my Korean is upper beginner, and I'm now on a journey with Mandarin Chinese. 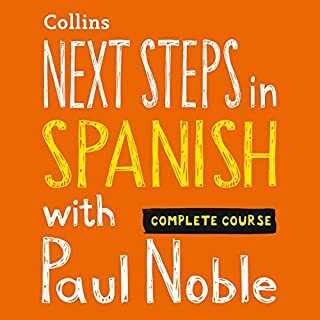 Paul Noble's Method is like a current generation version of the Michel Thomas Method, but with a more modern feel and several quality of life improvements for language learners. I purchased it yesterday, and have learned with it for about an hour so far. My initial impressions are quite good! Paul obviously put a lot of thought into the course, because he made a few choices that are VERY good. For instance, he has two native Mandarin speakers working with him. A female speaker and a male speaker. This is very impressive because almost no language learning products use both male and female speakers in the same product. In many languages males and females speak differently, so being able to hear the difference is incredibly useful. Also, the female speaker speaks the sentence in a slower fashion, and the male speaker then will speak the same sentence at normal speed. This way you can hear the words broken down, as well as at full speed. I am using this course in conjunction with other methods, and it has already helped me figure out how I can use vocabulary that I've learned from other materials. Paul's way of logically explaining how to use Chinese is fantastic. I'm super impressed so far and look forward to finishing the course! I have worked through an app to start to build my Chinese competency, and this course is really helping me feel confident saying the words aloud and stringing the words together into phrases and even whole sentences. I don't think it would be enough for me to use this resource alone, but it has perfectly complemented the more visually-based parts of my study. This course allows just enough repetition for words to stick, and it introduces new words at a pace I can handle. I really can't praise this audio course enough! If you want to learn Chinese... start with this! 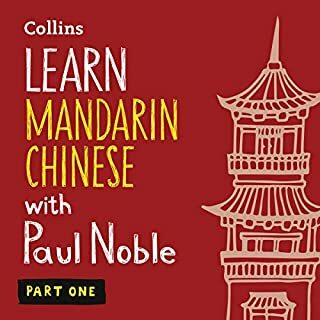 I have been dabbling with Chinese using other audio books and apps and paper books for 5 years not getting much of anywhere. I wish I had this audio course BEFORE everything else! I have been working through it in the car on the commute... and it is ALL sticking. Very useful vocabulary. Very helpful and successful method of teaching. Includes a PDF book designed with thoughtfulness and care. AND yeah you won't get the tones right at first... but if you keep listening and answering and repeating and trying... you WILL get the tones. Just give your brain time and practice. 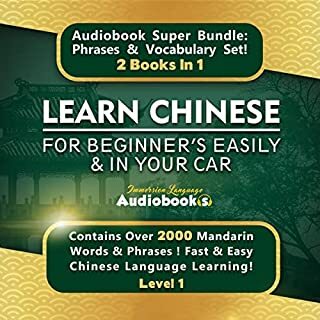 AFTER you get spoken and listening vocabulary using this course... THEN is the time to start learning how to read and write the Chinese characters. Do that AFTER learning the words speaking and listening. 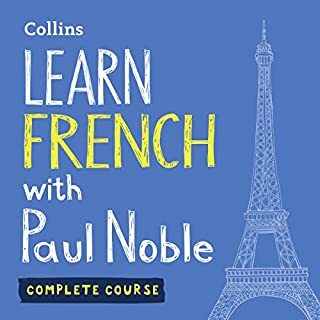 I have enough vocabulary now from this course, I WANT to learn more, and I want to practice by typing / creating new sentences using the words I have learned from this course. Start here! Get this audio course! I have managed to travel in China without knowing Chinese... this one course would have made my time there much easier! 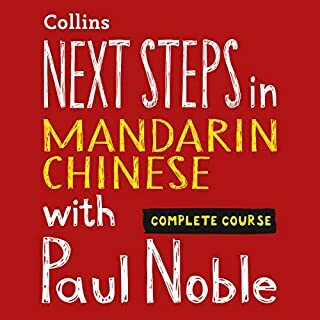 Great resource for learning mandarin! I am currently about halfway through listening to this book. I am amazed at how many words and phrases I am able to say and remember. 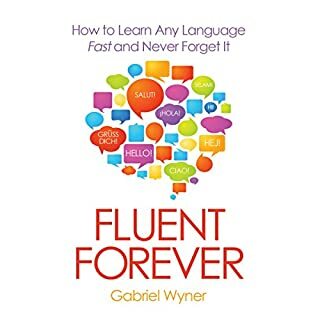 I have learned more from this book than I have in the past several years using many other types of language learning software programs. Looking forward to hearing and speaking through the rest of this book. I have also spoken and practiced with many of my new friends in China. They all say that my spoken mandarin sounds great! 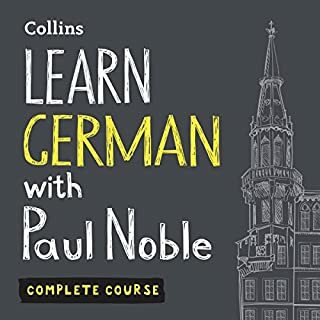 I have many primsleur, power rapid mandarin, earworms, and this for audiobooks, plus duolingo, drops, hello Chinese (my favorite app) and about 10 other apps, I have 5 textbooks with CD and of them all, I feel that this audiobook taught me the most. he leads you through very methodically, gobs and gobs of repetition, but it's a never exactly the same. you have to think, how to put together what he has taught and is teaching you.he teaches you what you need to know to create sentences. for instance, "he drank my coffee but I ate his mapo dofu" or " my mom said, we can't go to China town tomorrow" or yesterday I bought a new, good laptop. you dont learn how to regurgitate the same sentences over and over. instead you learn how to use what he teaches to make your own sentences, using all the tenses plus how to add adjectives, etc, all just by having you listen and learn step by step. he doesn't use words like adjectives and tenses, those are just my words describing what he teaches. 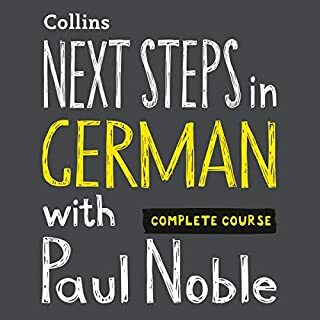 his 2nd audiobook is due out on Jan 24th (2019) which as I write this is only 5 days away. I've already prepurchased. I highly recommend this book, not frustrating and you learn a lot! I was happy at first to see the length of the book, but this turned to horror after 5 minutes of listening to the drone like robotic instruction that corrupts the whole course.